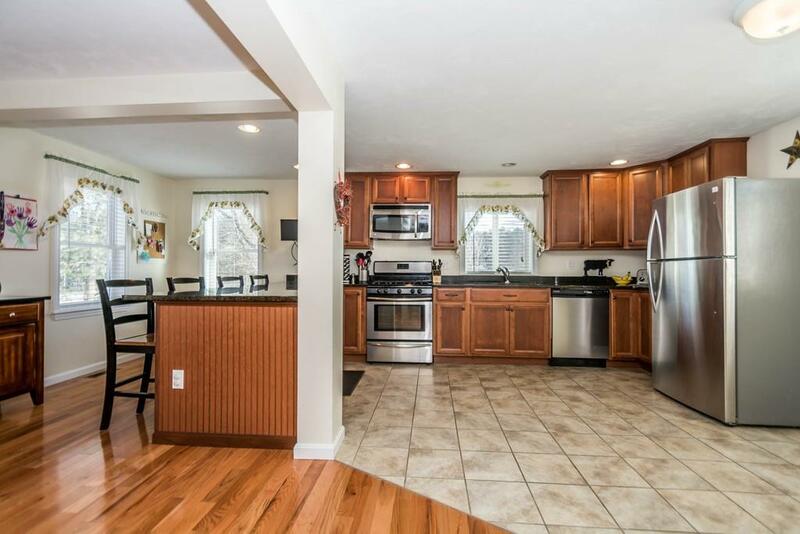 Welcome Home to this Classy Contemporary style Colonial Completely Renovated in 2012! An exciting open floor plan will provide for easy living as well as for entertaining family gatherings. 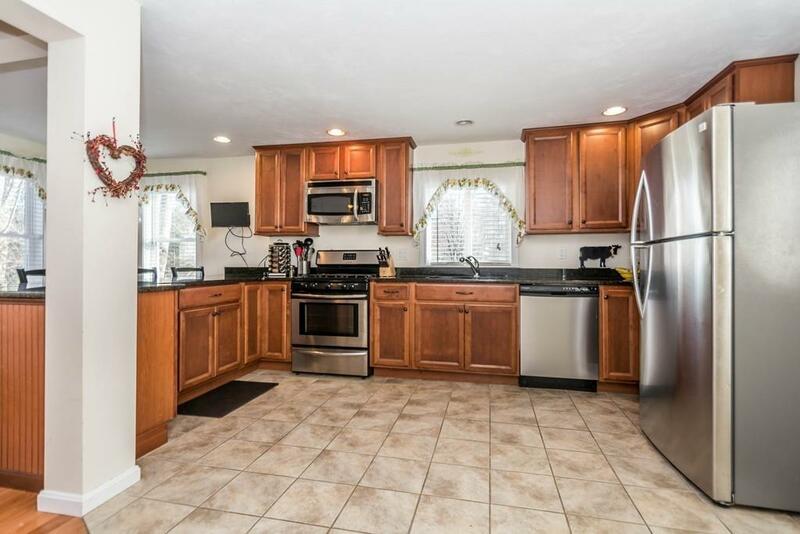 A beautiful kitchen with recessed lighting, granite counters, breakfast bar, and stainless steel appliances opens to the spacious dining room with gleaming hardwood flooring. Light and bright living room with wall-to-wall carpeting. There is a guest bath and double closet completing this level. Second floor offers generous 17' Master Bedroom, two additional bedrooms with ample closet storage and a desirable 2nd Floor Laundry. The Full bath with elongated vanity counter has ceramic tile flooring. Expansive, level yard for outdoor enjoyment. Great Opportunity for Buyers looking for a newer property - this is the one! 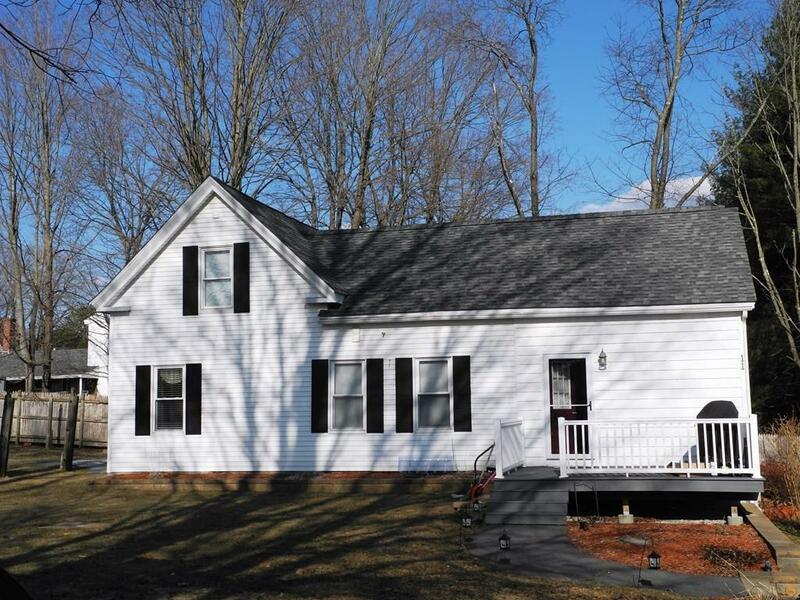 Listing courtesy of Jane Merritt of Coldwell Banker Residential Brokerage - Tewksbury. Disclosures Property Completely Remodeled in 2012. Room Sizes Are Approximate. Exclusions Refrigerator. Children's Outdoor Play Equipment. 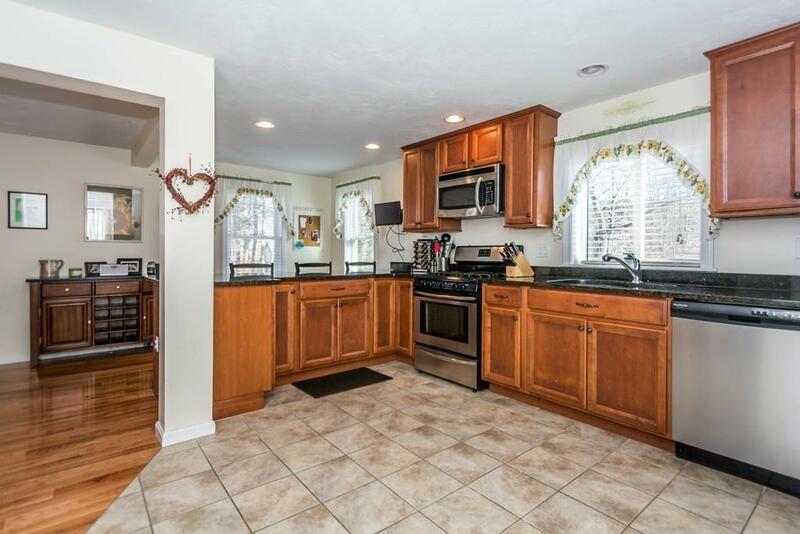 Listing provided courtesy of Jane Merritt of Coldwell Banker Residential Brokerage - Tewksbury.